Bengaluru, Nov 19: Bengaluru FC made an emphatic debut in the Hero Indian Super League (ISL), defeating Mumbai City FC 2-0 at the Kanteerava Stadium here on Sunday. Eduardo Garcia (67th minute) and Sunil Chhetri (90+3) scored for the southern club which played in the I-League for the past four seasons. 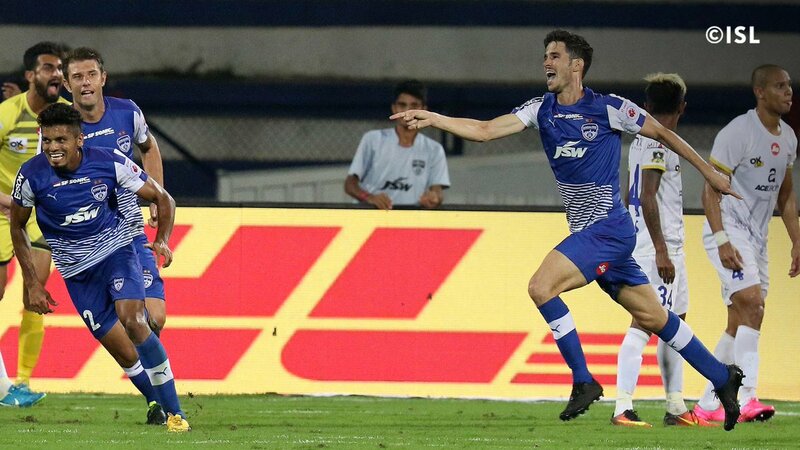 Mumbai managed to see off a flurry of corners up until the 67th minute, when Garcia cut inside on to his left foot to send a low shot past Amrinder Singh's near-post. Chhetri then capitalised on a mistake from Amrinder and defender Mehrajuddin Wadoo to score the second in added time. The India captain didn't celebrate against his former club but certainly deserved his name on the scoresheet. But while Bengaluru coach Alberto Roca will be pleased with the cohesion his side showed, he will be worried with the number of chances they wasted. Venezuelan striker Miku was the recipient of delightful through-balls from both Sunil Chhetri and Udanta Singh, but failed to make any of his opportunities count. Chhetri and Udanta were particularly impressive, threatening to break forward with speed and intelligence. Chhetri saw the first glimpse of goal from a Miku cross but his first-time side-footer whizzed over the bar. Chhetri put Udanta Singh down the right channel but the explosive winger's shot soared over the bar. Amid all this, Mumbai City defender Rozario was lucky enough not to be sent off for a blatant forearm slash on Udanta. Mumbai managed only one shot on target, with Gurpreet Singh having little to do apart from bat away some deep crosses. 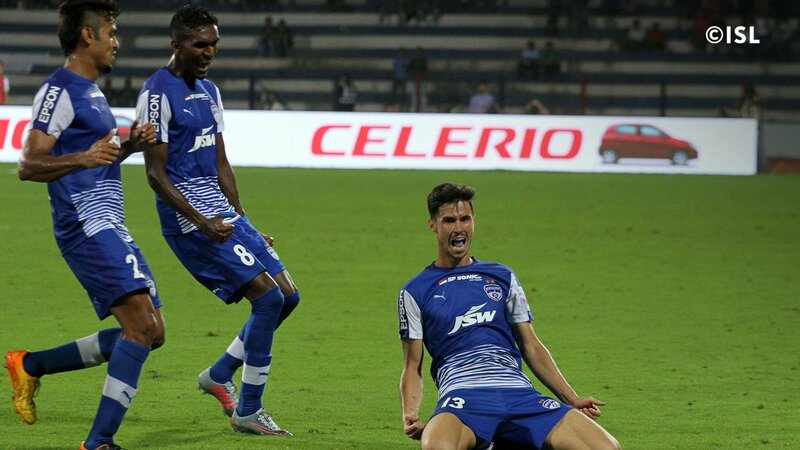 Last year's semi-finalists Bengaluru got their best chance in the 54th minute when Everton Santos twisted and turned to open his body for a right-footed shot, only to see it blocked by a resilient Bengaluru defence.